If you suffer from back pain you know how excruciating it can be. If your pain is caused by a spinal fracture or osteoporosis that has caused the vertebrae to collapse, you know the agony of chronic pain. We can help to relieve that pain in a minimally invasive procedure that our surgeons are specially trained to conduct. We can help you to return to a normal lifestyle again, and restore some of the height you may have lost due to a compression fracture. Here’s how. Our spine health specialists treat spinal fractures with a surgical procedure known as Kyphoplasty. This procedure uses a narrow tube, inserted through a very tiny incision in the back, to access the fracture. Our vascular surgeons have spent years performing minimally invasive surgery through incisions smaller than a Band-Aid and Kyphoplasty is an important application of those skills. During the Kyphoplasty procedure our surgeon guides the tube, using x-ray images, to the fractured area of the spine. A special balloon is inserted through the tube and into the fractured vertebrae. The surgeon then very gently inflates the balloon and as it inflates it expands the bone that has collapsed. The balloon is removed, and the space that it created is filled with a bone cement mixture that hardens and stabilizes the bone. This procedure may correct a deformity or restore body height that was shortened by the compression fracture. A Fast Recovery – Home the same day. Kyphoplasty is done under either local or general anesthesia. You will be very comfortable and may be given some medication to help you relax. 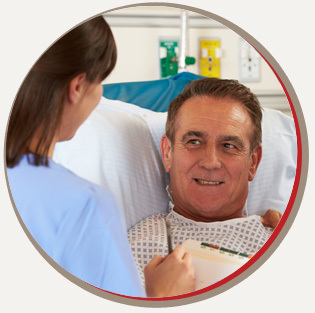 You will spend time in the recovery room once the procedure is complete. Because the incision is so tiny, you will not need stitches or sutures. A Band-Aid is all you will need! You will be able to get up and walk about an hour after the procedure. Most patients go home on the same day of surgery, but you will not be able to drive yourself. Once you are home, it’s a good idea to stay in bed for the first 24 hours, then slowly return to your normal activities. Don’t lift anything heavy or engage in strenuous activities for about 6 weeks after your procedure. Some patients experience relief from their back pain immediately; for others the pain is reduced or eliminated altogether within 2 days. There may be soreness at the point of the incision but this is usually treated with an icepack, and goes away within a couple of days. 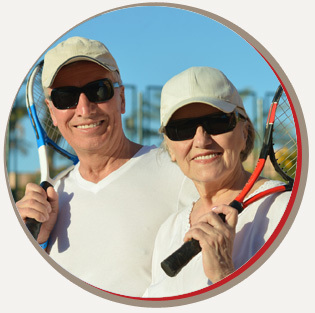 Most patients find that they can resume their favorite activities without any physical therapy or rehabilitation treatments. 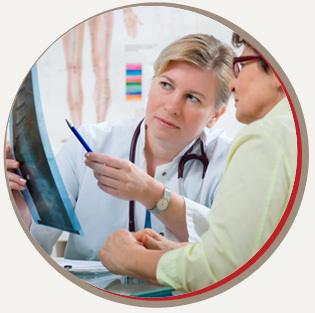 Learn more about spine health, call USA Vascular Centers today. Kyphoplasty is just one more way in which our surgeons create a better life for our patients through minimally invasive surgery.